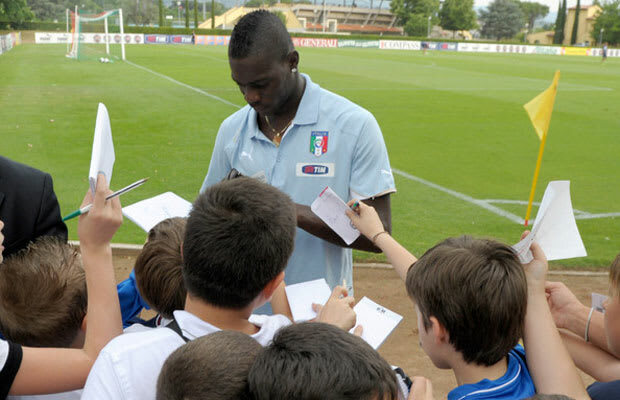 Mario Balotelli despises bullies. Funny, we thought he surely was one. When a young boy came up to Mario in training looking for an autograph Mario replied with questioning why the boy wasn&apos;t in school. When the lad told him it was because he was afraid of a bully, Super Mario was ready to come to the rescue. Balotelli took the kid and his mom to the headmaster in an effort to talk out the problem and see that the student was harassed no further. Scoring goals in the morning, chasing the bullies away in the afternoon, and baggin WAGs by night. Super Mario indeed.